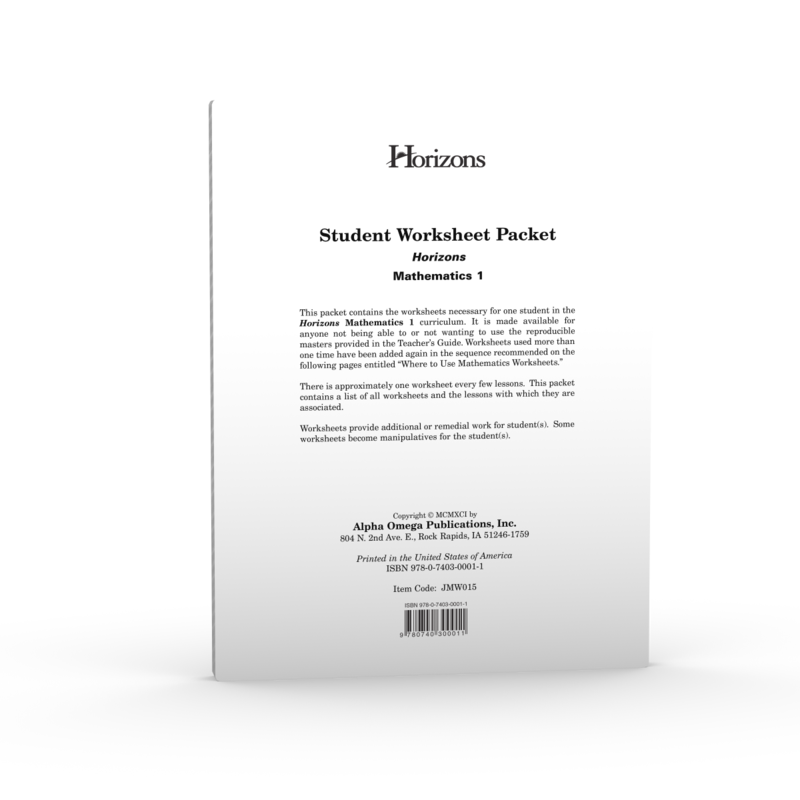 Reinforce math concepts with the Horizons 1st Grade Math Student Worksheet Packet from Alpha Omega Publications. Eighty unbound, reproducible review lessons provide additional exercises for accelerated learners or remedial practice for student's struggling with concepts presented in Horizons 1st Grade Math Student Books 1 and 2. Reviewing math facts with your homeschool child has never been so easy or so much fun! Get started now. Order your Horizons 1st Grade Math Student Worksheet Packet today!